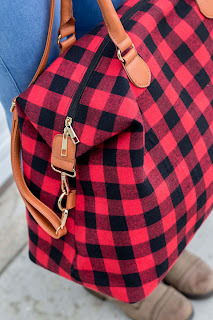 Check out this Buffalo Plaid Bag for ONLY $22.99 (Retail $49.99)! 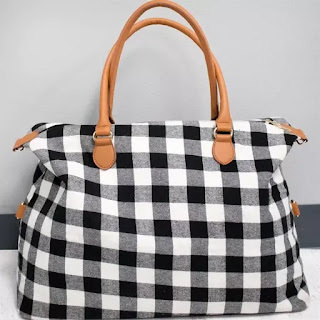 This bag is offered in two colors. These bags measure 22"W x16"H x 10" D and has a zip top closure, inside side-zipper and hook snaps on both ends. The Straps and bottom are faux leather in cognac color and all hardware is gold in color. Can carry over the shoulder and is light-weight. Also has two pockets perfect size for cell phone and a zipper pocket on opposite side.